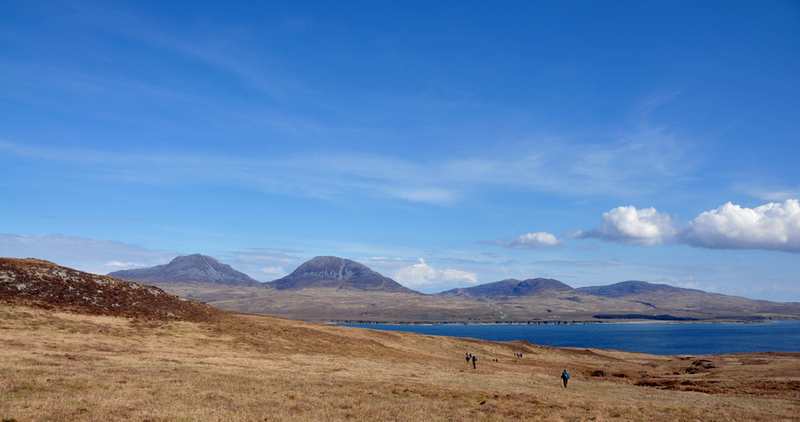 A beautiful panoramic view of the landscape at the foot of Sgarbh Breac, overlooking the Sound of Islay with Jura and the Paps of Jura on the other side. We were returning from Bolsa on a walk in the north of Islay. This entry was posted in Landscape, Repost, Sunny Weather and tagged Islay, Jura, Paps of Jura, Sgarbh Breac, Sound of Islay by Armin Grewe. Bookmark the permalink. Great photo Armin, Can’t wait to see the weather getting better again ! +Matthew Mundell Just under two months to go until the next Islay walking week….